With the recent upsurge in democratic socialism in the United States and the United Kingdom, a new generation of radicals is searching for a viable strategy to overcome capitalism. So it’s not surprising that a debate has broken out over the relevance of Karl Kautsky, the world’s preeminent Marxist theorist from the late 1880s through 1914. This might seem like an obscure historical dispute, but it’s not. As the recent Jacobin contributions by James Muldoon and Charlie Post demonstrate, assessing Kautsky’s politics informs how today’s socialists respond to a central strategic question: How can class rule be overcome in a capitalist democracy? Unfortunately, Muldoon and Post focus their articles on Kautsky’s approach to the German Revolution of 1918–19, confusing the discussion by failing to sufficiently distinguish between Kautsky’s long-standing radicalism and his late-in-life turn toward the political center. Like Muldoon, Post thus incorrectly equates Kautsky’s politics with a rejection of “a ruptural break with capitalism and its state.” To the contrary, Kautsky was the preeminent advocate of precisely this “ruptural” strategy in the prewar Second International. The difference between Kautsky’s approach and that of Leninists like Post is not over whether a revolution was necessary, but how to get there. Kautsky made his mark on history as the main theoretician of the Second International’s revolutionary left before World War I. Yet rather than examine the ruptural vision for winning democratic socialism that Kautsky defended for decades, both Post and Muldoon focus on Kautsky’s post-1910 period in which his politics were, yes, increasingly reformist — but also less and less influential. By this late date, virtually no influential political current in Germany or beyond sought to implement Kautsky’s political prescriptions. Despite his steady turn to the center after 1909, Kautsky’s entreaties were ignored by the bureaucratized officialdom of the German Social Democratic Party (SPD) throughout the revolution. Germany’s radicals, on the other hand, rejected their former mentor for having abandoned his long-standing commitment to revolutionary class politics. This sense of betrayal was not unfounded. 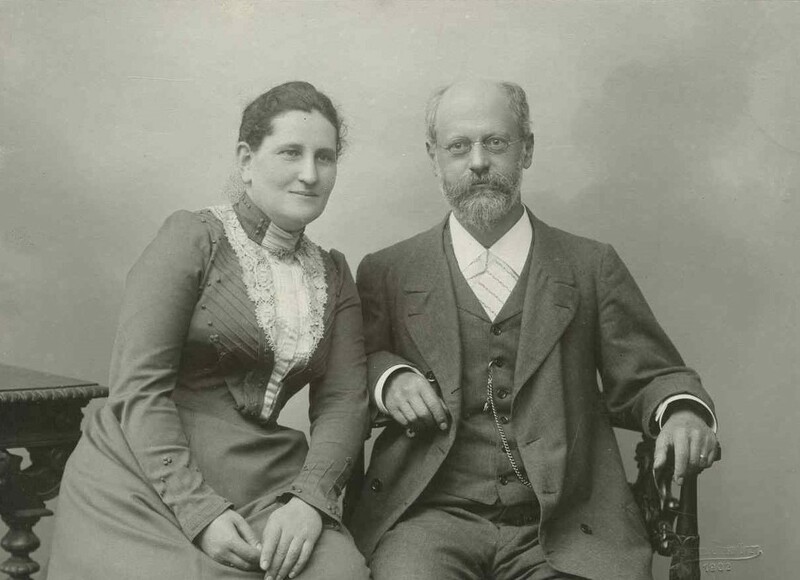 Up until the early 1910s, Kautsky was the leading light of the far left in Germany, Russia, and across the world. It’s hardly the case that Kautsky’s writings were to blame for the German social democracy’s slide to the right. What caused the SPD’s degeneration was not a theoretical mistake, but the unexpected rise of a caste of party and union bureaucrats who were dismissive of Marxist principles in general and Kautsky’s “intransigent” class strategy in particular. Kautsky’s greatest pre-war political limitation was that he, like all other Marxists of the era, failed to fully predict, or prepare for, the rise of this bureaucracy. As was the case with Rosa Luxemburg and Vladimir Lenin, he incorrectly assumed that an upsurge in class struggle would either sweep the “opportunist leaders” aside or force them to return to a class struggle stance. As such, neither he nor Luxemburg built an organized Marxist tendency inside the SPD that could effectively challenge for leadership. He faced the dilemma of either taking up the struggle with the [opportunist] trends and moods dominating more and more in the decisive links of the structure of the workers’ movement or of more or less thoroughly adapting to them. If he chose to fight it would mean losing the position of the official party ideologue and theoretician which he had enjoyed almost a quarter century and to which he was extremely attached. Moreover he was not used to “swimming against the tide,” he was then almost 60 and was a very tired and nervously exhausted man. Faced with this unexpected challenge, Kautsky caved. Beginning in 1910, he proceeded to reverse many of his stances on key strategic issues, including blocs with liberals, participation in capitalist coalition governments, and the actuality of socialist revolution. Post argues that “Kautsky’s strategy for a break with capitalism [was] a failure in 1918–1919.” But since Kautsky’s strategy has to be judged by the political practices of the parties that actually sought to implement it, any serious balance sheet needs to look beyond Germany. Though Kautsky himself made a turn to the right after 1909, his earlier radical theories continued to orient the politics of leftists across Europe. This was especially true in autocratic Russia and parliamentary Finland, where his influence was greatest and where his strategies guided the Bolsheviks and the Finnish Social Democrats to seize power in 1917–18. Sociologist Carmen Sirriani’s incisive balance sheet of twentieth-century attempts at anticapitalist transformation demonstrates that even when a desire for immediate socialist transformation was deepest among working people, support to replace universal suffrage and parliamentary democracy with workers’ councils, or other organs of dual power, has always remained marginal. This was true even before the rise of Stalinism undercut the popular attraction of the 1917 model — and there’s no good reason to think that this will change in the future. Leninists have rarely grappled with these facts, let alone provided a compelling explanation for them. In other words, they have assumed, but not actually demonstrated, that the dual-power / insurrection model of Russia 1917 — a revolution that toppled an autocratic, noncapitalist state, not a parliamentary regime — is relevant for capitalist democracies. Similarly, Post at no point provides any evidence for his assertion that only workers’ councils, not a socialist-led government elected by universal suffrage, are capable of leading a break with capitalism. Given their inability to provide a compelling positive case for an insurrectionary strategy, Leninists have focused their fire on exposing the dangers and tensions of attempting to use the existing state for socialist transformation. Most of these warnings are valid. Indeed, democratic-socialist Marxists like Kautsky and Ralph Miliband have penned some of the most withering critiques of socialists in power. The obstacles identified by Post were already eloquently laid out many years ago in Kautsky’s denunciations of reformist French socialists and Miliband’s incisive assessment of Salvador Allende’s Popular Unity government in Chile. Post is right to note that a rupture-oriented left government elected to the existing state will be faced with unrelenting sabotage and worse by capitalists, the repressive apparatus, and state bureaucrats. But in the absence of a viable alternative, these obstacles are not sufficient to reject Kautsky’s case for a democratic road to socialism. And contrary to what Post claims, Kautsky was aware of the inherent challenges facing his strategy — and he laid out a vision for how these could be plausibly overcome. That said, Kautsky had no illusions about the possibilities of peacefully and gradually using the institutions of the existing state to bring about socialism. In his view, the depth of class antagonisms meant that “that the proletariat can never share governmental power with any possessing class.” For that reason, he sharply rejected “revisionist” Eduard Bernstein’s claims that workers could take over the state one ministry at a time. One of the peculiarities of the present situation consists in the fact that, as we have already pointed out, it is no longer the governments which offer us the harshest resistance …. [Capitalist exploiters] use their forces recklessly and more harshly than the government itself, which no longer stands above them, but rather beneath them. Kautsky argued that resistance to a democratically elected socialist government should also be expected from within the existing state structures — first and foremost the military. He thus always insisted that overthrowing capitalist rule required the dissolution of the army and the arming of the people. As he noted, the army was “the most important” means of rule. Imagine for a moment that our parliamentary activity were to assume forms which threatened the supremacy of the bourgeoisie. What would happen? The bourgeoisie would try to put an end to parliamentary forms. In particular it would rather do away with the universal, direct and secret ballot than quietly capitulate to the proletariat. So we are not given the choice as to whether we shall limit ourselves to a purely parliamentary struggle. To defeat such ruling-class resistance, Kautsky advocated that workers use the weapon of a general strike. He also affirmed that though Marxists desired and advocated a peaceful revolution, they must be prepared to use force if necessary to uphold their democratic mandate. Capitalists would not renounce violence even if the socialists did. The proletariat, as well as the petty bourgeoisie, will never be able to rule the state through these institutions. This is not only because the officer corps, the top of the bureaucracy and the Church have always been recruited from the upper classes and are joined to them by the most intimate links. It is in their very nature that these institutions of power strive to raise themselves above the mass of the people in order to rule them, instead of serving them, which means they will almost always be anti-democratic. In line with this approach, Kautsky insisted that fighting for a democratic republic — the complete democratization of the political regime, election of state officials, dissolution of the standing army, etc. — was a central component of socialist politics. The viability of Kautsky’s strategy in practice was demonstrated by the Finnish Revolution of 1917–18. Unlike most social-democratic parties of the era, the Finnish Social Democracy under the guidance of a cadre of young “Kautskyists” led by Otto Kuusinen upheld its commitment to radical democratic socialism. Through patient class-conscious organization and education, Finnish socialists won a majority in parliament in 1916, leading the Right to dissolve the institution in the summer of 1917, which in turn sparked a socialist-led revolution in January 1918. Finnish social democracy’s preference for a defensive parliamentary strategy did not prevent it from overthrowing capitalist rule and taking steps towards socialism. Unfortunately, this strategy has been attempted in practice few times since Finland. For almost a century, much of the far left has been politically disoriented and marginalized by attempts to generalize the Bolshevik experience to non-autocratic political contexts. At the same time, the vast majority of elected left governments have never even tried to move down Kautsky’s suggested path due to the moderating pressure of labor bureaucratization and the immense economic power of the capitalist class. These are serious hurdles for any socialist strategy. But they are not insurmountable. The Finnish experience and the subsequent historic record indicates that pushing left governments down the path towards rupture requires an influential current of Marxist organizers committed to fighting for a democratic-socialist strategy — and willing to push the revolutionary process forward in the face of inevitable pressures from capitalists and from moderate labor officials. Avoiding the dead-end of social democratization will above all require a very intense and sustained degree of mass action and independent working-class organization outside of parliament. Without this, even the most well-intentioned government will flounder. This is a false choice. Working-class electoral action and mass self-activity can and often do feed off each other. Indeed, the 2018 teacher strikes, particularly in West Virginia and Arizona, were inspired in part by Bernie Sanders’s 2016 primary run. Teacher unions and activists across the country have the opportunity today to build off the strikes’ momentum to mount a political challenge to the billionaire class in the form of tax-the-rich ballot initiatives and formations like Educators for Bernie. And, as he did in 2016, Sanders is again actively using his campaign to promote strikes, and other bottom-up working-class actions. Navigating the tensions of electoral and mass movement work is the art of socialist politics — there’s no timeless formula. We’ll never overcome capitalism without a realistic strategy for doing so. Without first winning a democratic election, socialists won’t have the popular legitimacy and power necessary to effectively lead an anticapitalist rupture. But reclaiming the best of Kautsky’s legacy is not only important for our long-term goals. Building off his Marxist conception of a democratic road to socialism has at least three immediate practical consequences. First, moving away from dogmatic assumptions about the generalizability of the 1917 model should help socialists abandon other political dogmas, including on pressing issues such as how to build a Marxist current and whether it’s okay to ever use the Democratic Party ballot line. Though there are still many positive lessons to be learned from Bolshevism and the Russian Revolution, the era of building small groups each dedicated to defending their particular conception of Leninist continuity is thankfully over. Second, reclaiming Kautsky’s strategy should prompt socialists to focus more on fighting to democratize the political regime, a tradition that has gotten lost since the era of the Second International. Whereas liberals and social democrats generally accept existing governmental rules and structures, Leninists have often been reluctant to proactively fight for major democratic reforms because they seek to completely illegitimate the current state. Democratic-socialist Marxists, in contrast, seek to lean on and expand our current democratic institutions — virtually all of which were won by working-class struggle — as a jumping off point for anticapitalist transformation. In a country like the United States, with its extremely undemocratic political system, raising the fight for political democracy is particularly urgent. Lastly, upholding the best elements of Kautsky’s approach is important for helping leftists take the electoral arena more seriously. After decades in which apolitical movementism dominated the far left, and consistent support for mainstream Democrats defined the broader “progressive” milieu, mass working-class politics is finally back. Bernie Sanders, Alexandria Ocasio-Cortez, and other newly elected radicals have raised working people’s expectations and changed national politics. Socialists should participate in this electoral upsurge to promote mass movements and to organize hundreds of thousands of people into independent working-class organizations. Though Kautsky’s radical democratic vision is certainly not the final word in Marxist politics, it’s an excellent starting point. Kautsky was right — and the sooner today’s socialists realize this, the better.